RUSH: We seldom have any guests on this program because there just isn’t time, and there aren’t that many people whose opinion I care to hear anyway since I am the world’s foremost expert. But we have exceptions, and one of them is Bret Baier, the host of Special Report with Bret Baier on Fox News every night 6 p.m. Eastern out with his next book called Three Days in Moscow: Ronald Reagan, Fall of the Soviet Empire. Welcome back to the program, sir. It’s always a pleasure to have you here. BAIER: Hey, Rush, thanks for having me. RUSH: When do you find time to do this, Bret? I have the Fox News Channel on here constantly. You’re not just on at six o’clock. You’re there throughout the day to comment whenever warranted. BAIER: Yeah. I’m a night owl, so after the kids get to bed I put in a couple hours a night. So I figure I should put the pedal to the metal, if it’s working. RUSH: Well, this is a mammoth effort, and what inspired you, what made you curious, particularly at this time? We could probably draw a lot of parallels to Reagan and the fall of the Soviet Union to what Trump is doing now with North Korea, maybe we can get there, but what made you want to go into this area? 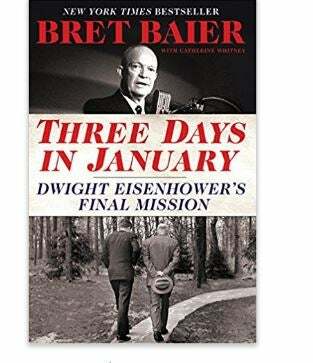 BAIER: Yeah, so the last book — and thank you for having me on last time, the Three Days in January: Dwight Eisenhower’s Final Mission, I kind of looked at the last three days of the Eisenhower administration before the Kennedy administration and that farewell address that was largely overlooked at the time, and then bounced back and looked at Eisenhower’s life up until that point. So it worked, the blueprint worked, I thought, and I wanted to get another historical moment like that, that maybe was overlooked at the time. And I found it in this fourth summit between Mikhail Gorbachev and President Reagan in Moscow. It’s the first time he goes to Soviet soil. We have great nuggets and details that have never come out about that summit and about behind the scenes, talking to folks like George Shultz and Marlin Fitzwater and people who were there. And then a speech that was overlooked at the time to Moscow State University students Reagan delivers and then does Q&A with the students, used that three days and bounced back to Reagan’s life and how he gets to that moment. And, you know, soon after that moment, not because of that moment, but soon after it the wall falls, communism falls apart, and the world changes. RUSH: You found information, nuggets of information never revealed before. I don’t want to give away the book, but can you share a couple with us and how were you able to get them? I mean, this was quite a while ago that this happened. There have been a lot of people that have written about Reagan. How did you find this stuff? BAIER: Yeah. Great interviews. First of all, George Shultz is a national treasure. He at his age remembers meetings like they were yesterday. I had a great interview with him. I had other interviews, as I mentioned. But there’s also oral histories that have not been tapped really at the University of Virginia that go back into this time. Chris Wallace, my colleague, was on this trip, provided some interesting details, Andrea Mitchell, others. But here’s something that’s pretty interesting when you talk about today, how it factors in. So remember the Berlin Wall speech. “Mr. Gorbachev, tear down this wall.” Well, nobody wanted Reagan to say those words. No one. All of his advisers really were against it inside the White House. There’s a lot of angst about it. They begged, you know, it was too inflammatory, it would set back negotiations. Reagan didn’t listen to them. And as he’s in the limo on the way to the wall, he turns to an aide inside the limo and says, “The boys at State are gonna kill me, but it’s the right thing to do.” He delivers that line. You know, the sky didn’t fall. Five months later, Gorbachev comes to Washington to sign this nuclear arms treaty. Two years later the wall is gone. And you could kind of connect, you know, that kind of same strength in words to what President Trump did at the U.N. speech. He threw in “Rocket Man.” There have been some tweets that really raised some eyebrows. Everybody thought we were going to war with North Korea, and June 12th is now this summit in Singapore. June 12th, by the way, 1987, is the day that Reagan delivers the “tear down this wall” speech at the Berlin Wall. BAIER: There’s a lot of those things. When Reagan is walking with Gorbachev in Red Square, a lot of people around him, and Marlin Fitzwater whispers in his ear, “You know, all of these are KGB officers dressed as civilians.” Well, one of them, with a camera around his neck, is Vladimir Putin. RUSH: Ha! No kidding, you know, what did you learn about Reagan that you didn’t know as you’re sourcing this book? BAIER: Well, I learned that, first of all, a lot of people didn’t give him credit. Everybody knew that, but you didn’t really know as much once you dig into it. If you go back to his early days, even as he’s president of the Screen Actors Guild, you know, he’s fighting communism back then. He’s testifying on Capitol Hill. It drove him. It was a part of his races, not only for governor but also as president, and that terminology, the speeches that say, you know, communism will be on the ash heap of history, that the Soviet Union is the evil empire, that boldness enables him to negotiate once he sees a leader who will do it. And you have to have a dance partner, and Mikhail Gorbachev was that. He’s recording a Saturday radio address and he’s joking, “the bombing starts in five minutes,” they start having conniption fits over that. The parallels to Donald Trump, you know, just over the weekend I think David Brooks, New York Times, writes that maybe we’ve misunderstood Trump. Maybe because of his time spent with the mob in New York City construction he better understands the thugs of the world. BAIER: They’re different personalities, clearly. They do it differently. Trump is a counterpuncher from New York in the rough-and-tumble real estate world. Reagan had a different experience. But you’re right, there’s similarities. In the last word in the book, the chapter I wrote — and remember I wrote it a couple months ago, but I talk about the roaring speeches Trump has delivered, you know, in Poland, in Riyadh, the United Nations speech, the State of the Union, talk about Afghanistan, some of those speeches you can actually hear Reaganesque language that Trump delivers. And critics would say, “Well, you know, he’s just reading for teleprompter.” They said about Reagan, too, but those words eventually moved the world. Now, we’ll see what happens with the negotiation in Singapore, whether the president will get up if the deal is not right, like Reagan did numerous times in negotiations. But it’s worth looking at the past to learn about the future. 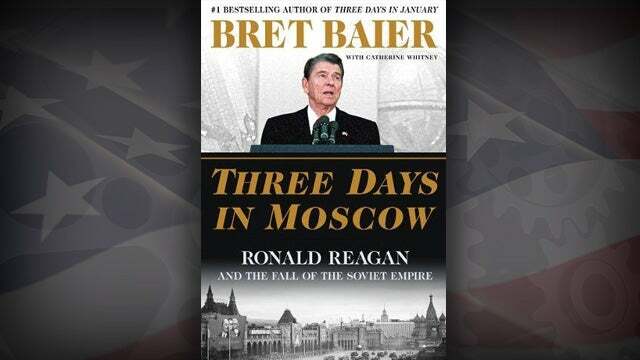 RUSH: Talking with Bret Baier of Fox News, new book, Three Days in Moscow: Ronald Reagan, the Fall of the Soviet Empire. Yeah, Reagan stood up and walked out of the Reykjavik. And it was your new friend, George Shultz, who after that had happened said that he had never been prouder of his president than that day. Well, the rest of the world was quaking in their boots, Reagan had walked out, it meant war. And, you know, the parallels, as you discuss it here — and I know they’re different men, and I know that they have different approaches, Reagan and Trump. But what’s consistently common here is that the establishment in Washington distrusted Reagan, distrusts Trump, actually actively dislikes Trump. But in both instances, Trump to date and Reagan over eight years, proved that their ways, their methods were successful in ways that the establishment didn’t think even possible. BAIER: Exactly. I mean, in both cases, the establishment’s heads are exploding day in and day out, whether it’s something said, something tweeted, you know, in both cases. Right now it’s supercharged with social media and everything else, obviously investigations ongoing. We don’t know what we don’t know. But it is supercharged, the environment. But one thing you can say is, like Reagan, Trump has changed the paradigm. I mean, the jury’s still out on the end result, but the game changed in the way Washington worked or what was important once he took office. RUSH: Did you learn, as you’re reporting this book, did you learn what Reagan thought of the media thinking Gorbachev was the answer to all the problems. That Gorbachev was the star of the two, that Gorbachev, it was his shoulders on which the hope for peace rested and that Reagan was just the amiable dunce. Did you ever find out what Reagan or his people thought about those characterizations? BAIER: Yeah. Well, not only Reagan’s own writing where he talked about it, he was less about making it about him, Marlin Fitzwater swore that he was always about, you know, I can win ’em over, don’t worry about the negative stuff. There’s a lot of negative stuff, and you’re right, Gorbachev was portrayed as this media darling, someone who was going to run circles around Reagan in those summits. It didn’t happen. Gorbachev had a moment, you may remember when he’s in Washington, he gets out of the car on Connecticut Avenue and goes to these little sandwich shops, and people are coming out of the woodwork and saying, “Gorby, Gorby,” and chanting. And Reagan’s watching it on TV as he’s waiting for Gorbachev to come to the White House. Reagan goes to Moscow and has a similar moment, decides that he and Nancy are gonna walk out to the Arbat and the square, and he stands on a food cart, and he starts talking to people, and everyone swamps out, thousands of people, and they’re chanting, “Reagan! Reagan!” So he kind of put it back to Gorbachev in that moment. And one funny, quick thing from that moment. You know, the Russian Secret Service, essentially — their equivalent — was beating people back eventually, and it got really kind of tough. RUSH: Ha! (laughing) Brett, were Reagan and Gorbachev buddies in the end? I know that Gorbachev had a very close relationship with George H. W. Bush who succeeded Reagan, and I actually met Gorbachev at one of Bush’s birthday parties in Houston, and they were very tight. What about Reagan and Gorbachev at this phase of relations which is the period of time for your book? BAIER: And they had a relationship, but they were really tough negotiators at the table. RUSH: Do you have a couple more minutes? I’ve gotta take a break. I’d love to ask you about your interview with James Comey, if you have time. RUSH: If you don’t, that’s fine. I didn’t mean to spring this on you. RUSH: We’ll be back here with Bret Baier just a second. Don’t go away, folks. RUSH: And we’re back with Bret Baier of Fox News. His new book hits tomorrow. It is Three Days in Moscow, and it’s Reagan and the fall of the Soviet empire. You had a fascinating interview with James Comey, and this is not puffery here, but yours was the first that was actually probing in the sense that you did not treat him as a fellow traveler or an ally. Did you get suspicious when you get this text saying he’s in traffic and he’s going to miss the open? BAIER: (laughing) Yeah. You know, there’s a lot of traffic in Washington; I’ll give him the benefit of the doubt. But it was a big interview, obviously, and I’d been prepping for it for a long time. He came in about, you know, 12 minutes late, and we rejiggered the show and kind of moved things around. My staff is spectacular, and so we tap-danced until he arrived and then I went back to exactly what I was gonna ask before. We ran out of a little time analysis-wise at the back end of the show. We wanted to have more panel time, but I got through most of what I wanted to ask him. BAIER: Right. I was taken aback by that, as you could tell by my question. BAIER: I said, “What do you mean? Wouldn’t you want to know that?” And his point back essentially was, “I knew it was anti-Trump whether it came from the Democrats or not.” But I would think you would want to know that. The other thing that struck me was the Michael Flynn stuff in that he told lawmakers that his people didn’t believe that Michael Flynn was intentionally lying by, you know, the experts judging him. When I asked him about that, he said he didn’t know where that came from. RUSH: They’ve all said that he told them behind closed doors that nobody thought that Flynn had told lies in that interview, which was a crazy interview anyway. Flynn didn’t even know it was an interview. He thought it was just a meeting involving the FBI and the transition. You had to know during that interview that you had a significant percentage of America hoping that you would uncover a lot of things that Comey was getting away with by not being asked about them on the other networks. How do you think you did at the end of it? Were you satisfied with it? BAIER: Yeah, I was satisfied. I mean, obviously you’re critical and want to follow up more and, “If I had 10 more minutes…” You know, and you kind of second-guess. But overall I think I was firm but fair. I mean, that’s actually what he said at the commercial break, was that these are tough questions but they’re fair questions. And that’s really what I’m going for, Rush, is to hold both sides accountable. RUSH: You know, I want to ask you this, but I’m kind of doubting you’re gonna answer it. RUSH: But what was your impression of him after the interview, his truthfulness, his involvement, his motivations? What did you think when you finished this interview? BAIER: When he stood up to leave, I thought, one, he clearly was evasive on some of the answers, if not, you know, saying something completely different than what he told lawmakers. Two, I’m just surprised after that interview and after the media stretch that we’ve seen that he wrote the book now and why now. I can’t imagine that Bob Mueller and his team are fired up about that, you know, are excited about it. And three, was that there’s much more to this story. I think we have to make sure that he with cover all sides of it ’cause there’s a lot that we don’t know really on both sides of looking at this investigation. RUSH: Well, I tell you, one thing I remember you being really shocked at was when he admitted to you at the end of the interview that if he hadn’t been fired, he would still love to be the FBI director today. That surprised you. I could tell. BAIER: Well, I mean, for all the things he was saying on other networks about the current commander-in-chief, if he really wanted to stay in that job, that’s quite something. BAIER: Right, right, right. And that was shocking. Yeah. I think he saw the job differently. And, you know, who knows where this is gonna go, but hopefully that added to the conversation of fact. And that’s what we’re trying to get to. RUSH: Well, it was great. I’ll tell you, it was informative, and it was satisfying. And I know I’ve talked to a number of people in my audience that watched it that were extremely satisfied with it. So job well done. And look, on this book, too. You really do… With all joking aside, you have a great thematic format going here with your looks back into history. And as a Reagan acolyte… I loved Ronald Reagan. This being boo captures him and particularly this very important element, the fall of the Soviet Union, the fall of the wall and so forth. You really got it, Bret, and I congratulate it. It’s well worth reading this and absorbing it for people. BAIER: Thank you, Rush. And I’m not blowing smoke here, but the same day this comes out tomorrow, a young reader’s edition comes out of this book. So your fourth, fifth, sixth, seventh grader could read it too and the reason I did it — and this is where the blowing smoke thing comes — is ’cause my kids loved your Rush Revere books. BAIER: And I honestly thought when I went into this second book that that’s really the reason that I’m doing it is to introduce a president who young people hadn’t seen or known about — or moments that adults just didn’t know about — to better our look at history. RUSH: Bret, thanks. You talked right up to the break like the pro that you are. RUSH: Thanks much for your time. RUSH: Back in a moment.